Scientist Say The "Upside Down" From "Stranger Things" Can Actually Exist! Scientist Say The “Upside Down” From “Stranger Things” Can Actually Exist! 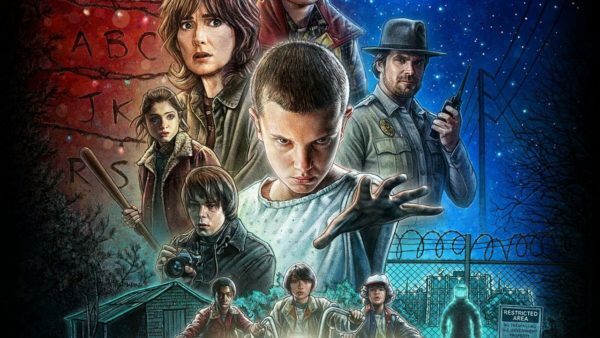 If you have an Internet connection you’ve probably heard about “Stranger Things” It’s a new TV show that got everybody HYPED. Later in the show, it turns out that the monster came out from what’s described as ‘The Upside Down’ after an experiment with a gifted child went wrong. The little girl was telepathic and the government tried to listen to Soviets through her mental abilities. However, it turns out that the ‘mental’ space she used to travel with her consciousness to the Soviets, is not empty at all. It’s a place of darkness and monsters; a place completely opposite of our world, or let’s say a mirror image of our reality. And when the girl created this breach with her mental abilities, the border that separated ‘the upside down’ from our world weakened, and the monster was able to travel into our reality. But, what if ‘the upside down’ this TV show speaks of is not that fiction? What’s really interesting is that scientists say there is another world out there, a Universe they call The Shadow Universe existing all around us. This is not a Parallel Universe and it’s not a different Dimension. It’s part of our Universe and it’s probably constructed from the same dimensions. When scientists discovered a strange matter in The Universe they could not explain why and how this matter behaved like it did. It was not affected by light, it passed right through our matter like a ghost, however it had mass. They called this matter Dark Matter. Taking this in consideration, isn’t it possible that this mirror of our reality is actually ‘the upside down’ that “Stranger Things” speaks of? We are only starting to scratch the surface of what’s out there. Science approves of different dimensions and parallel universes so maybe a mirror reality from our world is not that strange when you think about it.